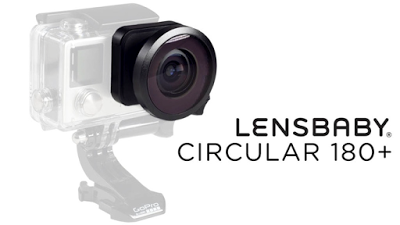 LensBaby started a Kickstarter crowdfunding project to create a 185-degree circular fisheye adapter for GoPro cameras. Among other things, a circular fisheye with 185-degree field of view would technically qualify as a hemispherical 360-degree camera, similar to the Kodak SP360 4k or the 360fly 4k. Moreover, the campaign allows you to get a compatible waterproof case for the modified GoPro. However, please note that you will need separate software to convert the circular fisheye to equirectangular format for viewing on most 360-degree viewers. LensBaby has previously produced a 185-degree circular fisheye lens for DSLRs and some mirrorless cameras.